Thanksgiving Turkey Cooked with Flashlights!! 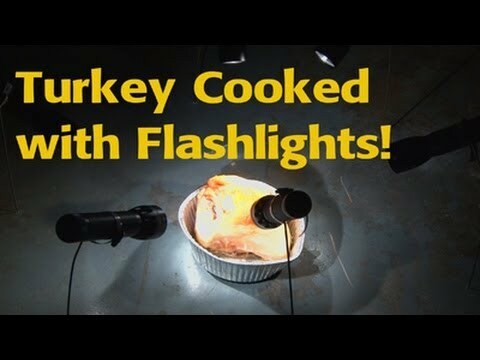 Unconventional cooking of a turkey using flashlights!! What? Music from Digital Juice Power Stacks - "Critical Decision"